The internet is full of meanness. One of the first viral videos I can remember watching was a clip from a community theater production of The Miracle Worker where the sighted actor playing the part of Helen Keller, who was blind, deaf, and mute, falls off the stage while pretending to be blind, deaf, and mute. The video’s still out there— EVERYWHERE— accumulating hits too. It’s awful. It's mean. and it's also funny as hell. Thing is, when I watch the above-mentioned video, I’m not laughing at an actual impaired person. And I’m not really laughing at the gravitational misfortune of a child playing an impaired person either. I'm laughing at how simulacra can be so very troublesome. And I even suspect (and I am not alone) that the long tradition of Helen Keller jokes, as loathsome as they are, has a lot less to do with marginalizing real people who struggle to overcome great challenges, than with the ways we portray and fetishize disability in popular culture. I wade hip-deep into these treacherous waters in prelude to what some will surely perceive as an awful confession. 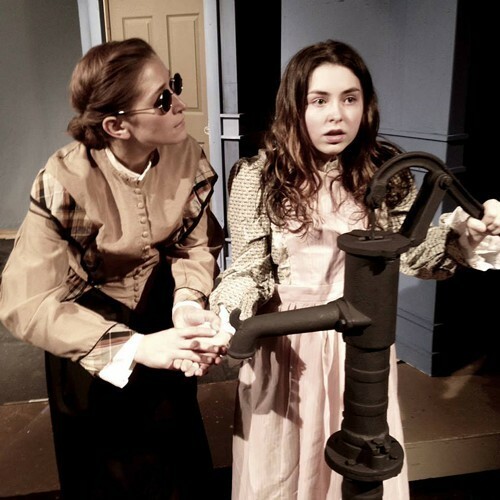 Although nobody fell from the stage, The Germantown Community Theatre’s production of The Miracle Worker made me cringe occasionally, and it made me laugh in some inappropriate places. Here’s the crucial context: In spite of space limitations, and some directorial inconsistencies, It’s a pretty solid production. But a serious scene, like the one where Helen’s mother discovers that her infant daughter is blind and unresponsive, easily becomes titter-worthy when underscored with spooky soap opera/horror show music, and that music can make a performer’s acting choice seem wildly melodramatic, no matter how humane. Ellen Saba is a strong choice for Mrs. Kate Keller. She is a grounding presence, and the play demands that of the character, who is, in many ways, a secondary protagonist, awakening to a woman’s place in the bellicose world of men. Sydney Bell, last seen at GCT as the bad seed in the musical Ruthless, and ShoWagon actor Lena Wallace are as good together as any two performers to tackle the iconic parts of Hellen Keller and Annie Sullivan. I’m not being especially original when I note that The Miracle Worker has always been a handful of great roles wrapped in a structurally messy melodrama. If Helen’s father Captain Keller occasionally sounds like Foghorn Leghorn wrote his dialogue, it’s hardly the fault of blustery actor Ken Mitten. That’s the part. GCT’s cramped stage with its limited entrance and exit options aren’t helpful. The set is too literal and too inflexible to effectively account for locations as different as a house, a cabin, a school, and a train. And few experiences are more nerve wracking than watching actors playing visually impaired children awkwardly exiting by way of GCT’s narrow stage-front stairs. There were moments when I worried that this might be another viral video waiting to happen. Director Marler Stone has some real personal experience with disability and with passionate teachers who work to give language to the hearing impaired. His aunt was deaf and his mother taught at the Mississippi School for the Deaf in Jackson. That might have something to do with why the scenes between Annie and Helen are so vivid and everything else is so fuzzy. Weaker portions of The Miracle Worker become an accidental clown show. Captain Keller, for example, is a weak-willed blowhard still fighting the Civil War over dinner. He doesn’t really care if his daughter learns as long as she’s tamed, and his most corrosive decisions are born of a reflexive need to maintain traditional gender roles, and his belief that Annie Sullivan is a disrespectful girl with too much book learning but not enough sense. In contemporary terms the good Captain is a one man Tea Party, and a shining example of how reflexive, dogmatic Conservatism is always doomed because, by its very nature, it’s always stuck fighting old battles while the world turns, and everyone else moves on. The clownishness of the role is especially clear in productions such as this one, where family relationships are thinly established and Keller exists almost exclusively as Sullivan’s somewhat ridiculous nemesis. Earlier I mentioned some over-the-top underscoring that turned a serious scene into an accidental hoot, and I’d like to come back to that for a minute. Marler Stone, who has really come into his own staging memorable productions of shows like Talley’s Folly and Death of a Salesman, has often turned to his son Matthew Stone to create original musical compositions to complement and comment on the dramatic material. It’s a good and admirable urge but results have been mixed, and in this scene they are just this side of catastrophic. The problem is mostly one of consistency since the music arises from nowhere to become a principal actor, and then it’s gone, and never again allowed to be more than fifth business. That same kind of inconsistency extends to so many elements of William Gibson’s script, and the production generally. There’s a lot of meanness on the Internet. Hopefully, this review won’t add to the pile because the story of the Miracle Worker is no joke, and neither are the performances at the heart of this fine, if occasionally muddled production. But, as I mentioned, I did sometimes laugh in the wrong places. I’d only like to suggest, for others who may respond similarly, that, given the too-familiar material, and other circumstances, the occasional cringe or snort may not be quite as inappropriate as it seems. Plan on feeling guilty anyway. 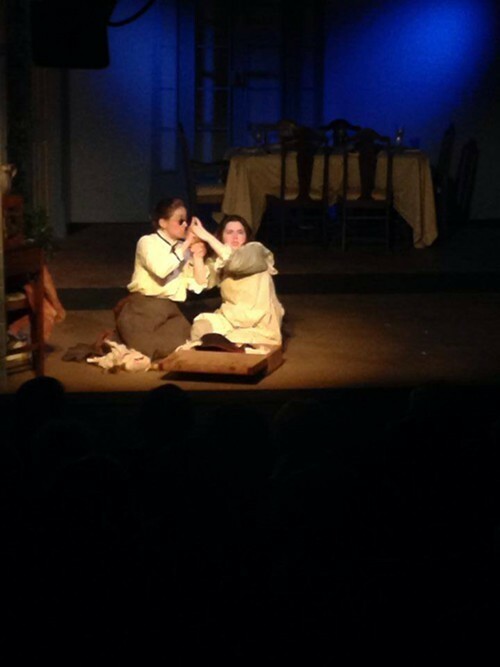 The Miracle Worker closes this weekend. Details, here. Some things take a while to process. In 2010 the founding artists of Chicago's New Colony theater company were planning their third season when Memphis actor Mary Hollis Inboden blurted out something that not everybody in the room understood. "I think I might want to do something about West Side," said Inboden, who grew up in Jonesboro but attended the U of M and appeared in numerous Memphis productions including Talking With at TheatreWorks and Anton in Show Business at Circuit Playhouse. 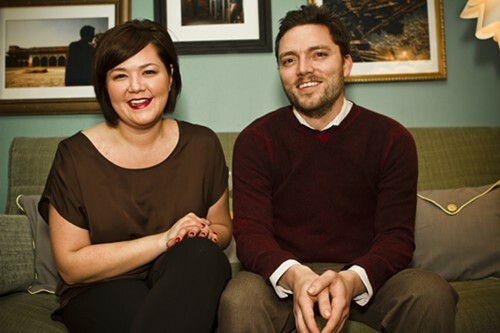 Playhouse on the Square alum and New Colony playwright Evan Linder was a close friend of Inboden's though and knew right away what she meant. He hadn't lived through the terror in the same way she had but having been a junior high school student in the Memphis suburbs he remembered the West Side playground shooting which occurred March 24, 1998. "At 26, I was ready to talk about the shooting at West Side Middle School and I knew I couldn't do it by myself," Inboden explained in a 2013 interview with the Flyer prior to The Warriors Memphis premiere. "I needed the talent family of The New Colony and the blessing from my childhood friends from the playground that day." 24 of the 35 survivors responded to Inboden with approval and current details about their daily lives as adults, survivors, and parents with their own children to protect. Those details formed the foundation of The Warriors, which is currently being produced by the McCoy Theatre at Rhodes College. "Evan and I had two rules we followed diligently," Inboden says. "The Warriors would not sensationalize the shooting on my playground and it would not be a story of the actual shooting. In following these rules we created a gentle story of survival, what it means to experience childhood trauma and move forward." Rhodes revival of "The Warriors," directed by Julia "Cookie" Ewing and Kevin Collier, and performed January 31, and Feb 1 at 7:30 p.m. is a collaborative effort giving the Theatre, Psychology, Anthropology and Sociology departments a common cause. In addition to performances there will be a talkback and lecture. Check below the fold for details. Two and one-half hours prior to each performance, people who present themselves at the Orpheum Theatre box office will have their names placed in a lottery drum; thirty minutes later, names will be drawn for a limited number of orchestra seats at $25 each, cash only. This lottery is available only in-person at the box office, with a limit of two tickets per person. Lottery participants must have a valid photo ID when submitting their entry form and, if chosen, when purchasing tickets. If you're looking for something nifty to do Friday night look no further. Last year, prior to the launch of Opera Memphis' new Midtown Opera Festival, OM's General Director Ned Canty announced an ambitious plan to create a new, Memphis-specific work for production in the festival's second year. Tomorrow night the opera-curious can visit Crosstown Arts to take in a free workshop performance of Ghosts of Crosstown, a cycle of 5 short operas inspired by the 1927 Art Deco architecture of the Sears Crosstown Building and by the ordinary lives of the people who worked and shopped there. The libretti for Ghosts of Crosstown have all been created by Jerre Dye the longtime artistic director and playwright in residence for Voices of the South. Composers include Anthony Davis, Kamran Ince, Nathaniel Stookey, Jack Perla and Zach Redler with Maestro Steven Osgood of the Metropolitan Opera heading up the creative team. "There is another Memphian involved as well," says Canty. 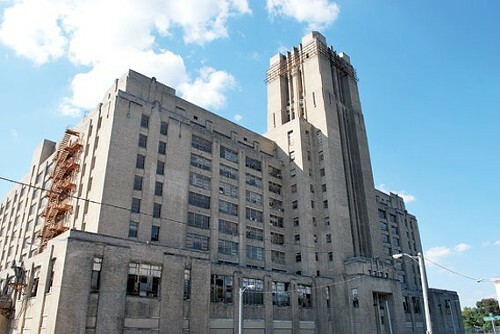 "Kamran Ince, who teaches at U of M."
Ince's piece, "Abandoned," is sung by the Sears building itself, alone at night, pleading with the sun to return. Canty describes the emotional impact of the work as "crushing." Other works include "Yvonne," a piece set in the 1950's is about a woman whose love of order is upset by a colleague's crisis; "Jack," about a girl who breaks into the building to drink with her friends and "Moving Up in the World," about an African American elevator operator telling his replacement how to cope with the job. Calling all aspiring playwrights! Playhouse on the Square is accepting scripts for the Second Annual “NewWorks@TheWorks” Competition. POTS will stage the six readings and two full productions at TheatreWorks as a part of its 2015-16 season. Along with the fully mounted productions the two top playwrights will be awarded $500 and be flown to Memphis to participate in staging and development. Sometimes I lose my way and start imagining the world as it might be. Take, for example, the opera. Of course, I understand the economic factors that prevent runs of more than a handful of shows. 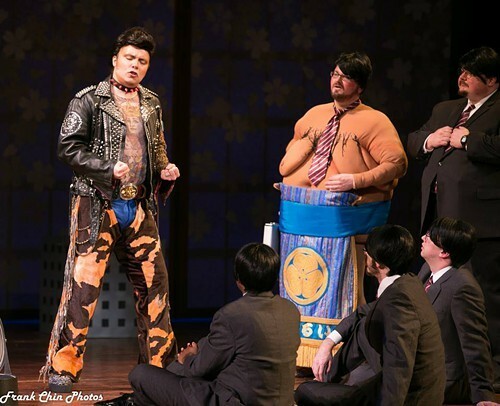 And then I see something like Opera Memphis' #superfun Mikado and I want it to play for weeks, giving the production an opportunity to become tic-tight, and to grow, and have a life. And, as word of mouth builds, to attract audiences who might not have an evening with Gilbert & Sullivan at the top of their to-do list. If there's anybody who can accomplish that last, difficult task it's Opera Memphis' Ned Canty. He's an exciting risk taker and, with the possible exception of an Elixir of Love set in the old west, his tweaked Mikado is probably the best example of just how far the General Director is willing to go to shine new light through old windows. In this Mikado we see Godzilla before the first note is sung and right away it's clear, this isn't your mother's Mikado. The big lizard is the first of several Asian/American icons and gently rendered stereotypes to grace the stage. Before the night is through we'll see video game characters, and a giant of international branding, blown up bigger than life. 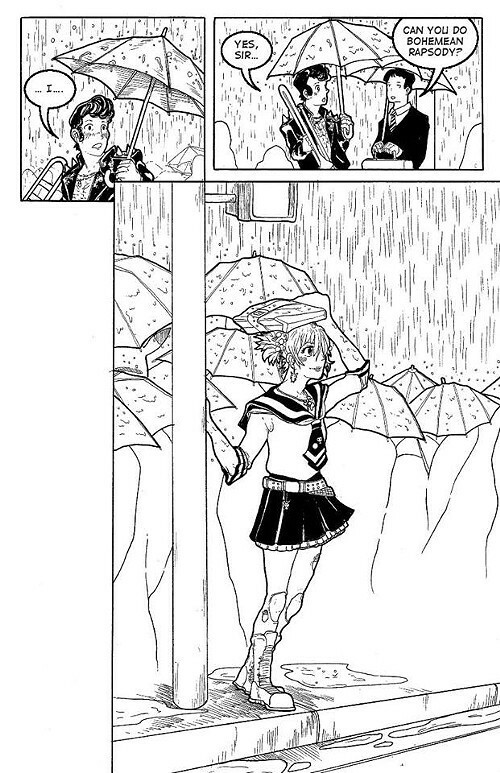 A manga-style Mikado preview comic commissioned by Opera Memphis. It is drawn by Grace Shore of the Memphis College of Art. A limited edition run available for purchase at performances. Canty took his inspiration from Japanese video games, where costuming has less to do with period continuity, than with character type. It's a look that will also appeal to anime and Manga fans, and it fits perfectly with the show's whimsical lyrics. It's not all about design, either, the voices assembled here are extraordinary, and Kevin Burdett's run through, "I've Got a Little List," is a perfect fusion of musical and physical comedy with a few updated lyrics designed to make Memphis audiences squeal with glee. It's especially good to see some of the top talent Canty has brought to Memphis making a return visit. Grammy nominee and winner of the 2013 BBC Cardiff Singer of the World Competition Jamie Barton, who was such a joy as TV chef Julia Child in OM's Bon Appetite, is back in the role of Katisha, and Monica Yunus, who Memphis audiences may remember from Don Pasquale has returned to play Yum-Yum. I do wonder at times, whether or not this Mikado lives up to its monster promise. Not because it's not delightful, but because it's the kind of show you really want to take a bath in. 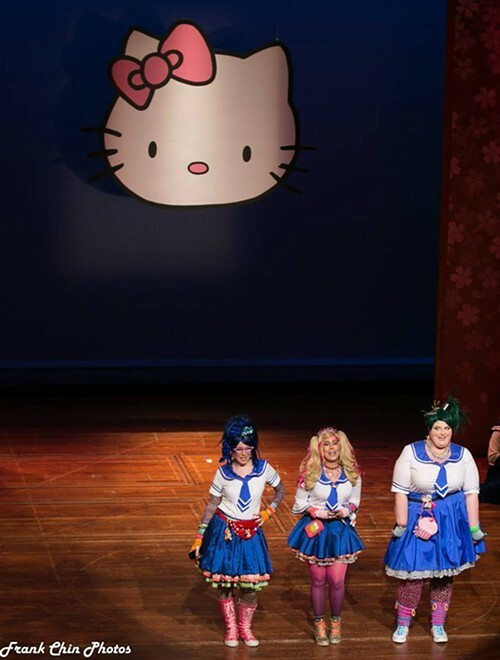 I can imagine the same Mikado, in a more intimate space, where scenic design can be more complete, and a dense, candy-colored lighting plot might do the gorgeous (and garish) costumes some real justice. And where I don't have to break focus to read titles for a book that's written in English. 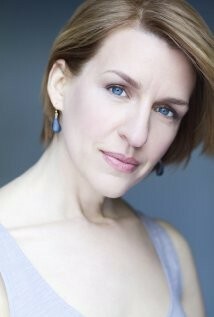 The Fred Mertz Association (the U of M theatre student organization) and The Student Even Allocation Committee are bringing [title of show] star Susan Blackwell to Memphis where she will conduct a series of free, open to the public workshops focusing on communication skills and creative expression. Private lessons for students (limited availability). Now. Hear. This Workshops (two sessions) are offered individually, and are not continuations of the workshop earlier in the day. Contact Randall Stevens (rtstvens@memphis.edu) to reserve a a slot. 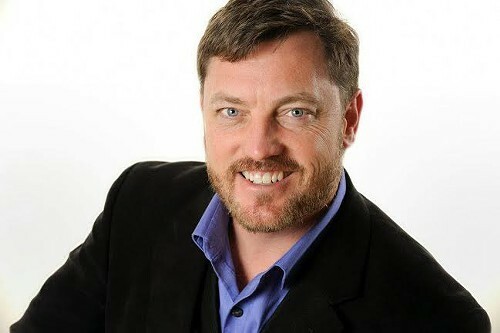 Brent Davis served as Germantown Community Theatre’s Executive Director for over 4-1/2 years. The organization is looking for a candidate to assume the leadership role being vacated by Davis effective January 31, 2014. Brent Davis has resigned as Executive Director/Producer for Germantown Community Theatre and is vacating his post Jan 31, 2014. GCT is currently looking for candidates to fill the position. After 4-1/2 memorable years I have decided to step down from my post at Germantown Community Theatre on January 31. I am blessed to have been given the opportunity to work for an organization that has been such a special part of my life. Thanks to all of you who have supported me personally and professionally during my adventures as Executive Director/Producer. I'm not leaving Memphis, I'm simply shifting my course in a different direction. I look forward to being on stage again with my theatre friends more frequently and seeking new professional opportunities after a much-needed break.